– Great for using as trigger sequencers in combination with clock dividers. – Performance muting or switching of sequences using the manual button. – Audio rate switching of waveforms to create new shapes. 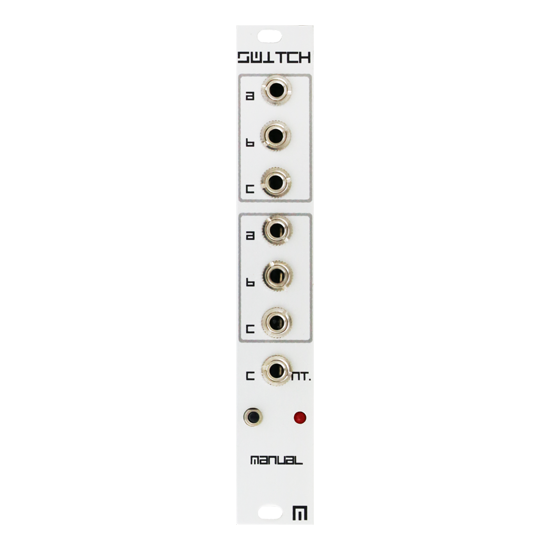 The Switch is 4hp wide, 25mm deep, and consumes approximately 10mA power.